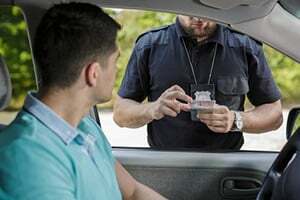 After being arrested for DUI and taking a breath or blood test, or refusing to take a test, many drivers are surprised to learn that the arresting officer will physically take away their driver’s license and issue a notice of suspension. Many drivers question why law enforcement can do this, even though the driver has not been convicted of or even charged with a DUI offense. When a law enforcement officer arrests a defendant on suspicion of driving under the influence, the officer will typically inform the driver that his or her license will be suspended and that the suspension is due to take effect in 30 days. The officer will then issue a temporary driver’s license that will allow driving up until the suspension goes into effect. This is considered an administrative license suspension issued by the DMV and not a criminal penalty. The driver does not have the same rights in an administrative action as he or she would have in a criminal case. The driver can challenge the suspension by requesting an administrative hearing with the DMV. This must be requested within ten days of the arrest or else the suspension will automatically go into effect. If a hearing is requested, the matter will be heard by a hearing officer from the DMV. These hearing officers are neither judges nor attorneys. In the hearing, the hearing officer is responsible for introducing the evidence against the driver as well as determining whether or not to reinstate the suspension or issue a “set aside” order that would dismiss the suspension. The driver can be represented by counsel at the hearing and this is highly recommended, as these hearings involve complex legal and factual issues and being represented by experienced counsel can make the difference between a suspension and a “set aside” order. Why Can an Officer Take Away My License? Many drivers question why a police officer, whose role is to investigate crimes and make arrests, is allowed to take a driver’s licenses and issue suspension notices following a DUI arrest. Courts have found that physically taking away someone’s driver’s license following a DUI arrest is proper and officers are authorized to act on behalf of the DMV in this manner. The arrest information is automatically communicated to the DMV, who will then issue the suspension. For most first time offenders, the administrative suspension is four months; however the driver would be eligible for a restricted license that would allow travel to and from work after a 30 “hard” suspension. If the driver refuses testing, the DMV would issue a yearlong suspension and no restricted license would be available. In many cases, drivers from out of state will be arrested for DUI while in California. The officer will often physically take away the driver’s license. Officers are not allowed to do this, as a California officer cannot act as an agent of another state. The California DMV would communicate any suspension or revocation of driving privileges to a national DMV database. An out-of-state driver’s home state can then take reciprocal action based on the California suspension. If you have been arrested for DUI and have received notice of a license suspension, it is crucial that you speak with a qualified DUI defense attorney right away. Michael Kraut is a former Deputy District Attorney with over 14 years of prosecutorial experience who understands how critical keeping a driver’s license is to his clients. Mr. Kraut fights hard on behalf of his clients in both the criminal case as well as the DUI administrative hearing. For more information about why an officer can revoke a license after a DUI arrest, and to schedule your free consultation, Mr. Kraut can be reached 24/7.